The Federal Government, in partnership with the African Development Bank (AfDB), two years ago launched the Agricultural Transformation Agenda Support Programme Phase One (ATASP-1) with commodity value chain development alongside infrastructure development as some of its key components in four Staple Crop Processing Zones. The four Staple Crop Processing Zones where the project is being implemented are Adani-Omor (in Enugu and Anambra states), Bida-Badeggi in Niger State, Kano-Jigawa and Sokoto-Kebbi covering a total of 28 local government areas. The specific objective of the project is to identify and promote science-based solutions for rice, sorghum and cassava value chains through technology production and distribution of quality seeds and planting materials strengthened by well-built seed systems. Target groups are smallholder farmers mainly youths and women trained by IITA, Ibadan, AfricaRice and ICRISAT along the value chains and assisted with improved technology to record good yield in their farms and product development skills. Mr. Ndidigwe Ezekiel Ekene, a 30-year-old graduate who has benefited immensely from the ATASP-1 initiative, told Daily Trust in his farm in Adani, Enugu State, that after his national youth service and having received training on farming, decided to start a rice farm. “What I got from ATASP-1 is numerous. Formerly what we did here was that we used to broadcast rice but with the intervention of ATASP-1 and the help of AfricaRice, I adopted a new approach which has significantly increased the yield,” he said while arranging the bags of rice ready for transport home from the farm. Another farmer, Bernard Idu, who through the programme has increased production to 10 hectares, said the improved technology and the seeding system training he received from ATASP-1 are a turning point in the yield of crops. In the area of seed multiplication, Daily Trust visited some of the farms owned by a group of youths trained in both cassava and rice seeds multiplication. Mr. Ogwuda Solomon Ugochukwu is a 31-year-old graduate of zoology and father of two. He told this reporter that the initiative has changed his view of farming and equipped him and other 20 members of the group to make more money. He, along with the group, co-owns eight hectares where they are producing seeds and already linked to an off-taker. The farm was due for harvest when Daily Trust visited. Like Ugochukwu, a young lady, Mrs Lydia Onochie who through the initiative owns a 0.5 hectare of rice farm told this reporter that her perception of farming has changed as a result of the training she and others received on seed multiplication. Mrs. Onochie is of the view that “Farming is no longer business as usual; it’s now a business; there is a company that will buy my seeds, which means I’m going to get more money,” adding that she hopes to expand her farm to three hectares next season. Besides rice and cassava, ATASP-1 has for the first time introduced sorghum farming among the Mbu community of Udenu LGA of Enugu State and the people are seeing huge potentials in the crop. Mr Ugwuagbo Anthony is a 29-year-old farmer who until now saw sorghum as a crop of no interest to him. He now realised that huge potential abounds in the crop. He told this reporter in the farm that the programme has introduced four new varieties of sorghum – SK 5912, CSR 01 and SAMSORG43 – for trial and all showed good prospects as Daily Trust, Golden Harvest observed in the farms during a visit. 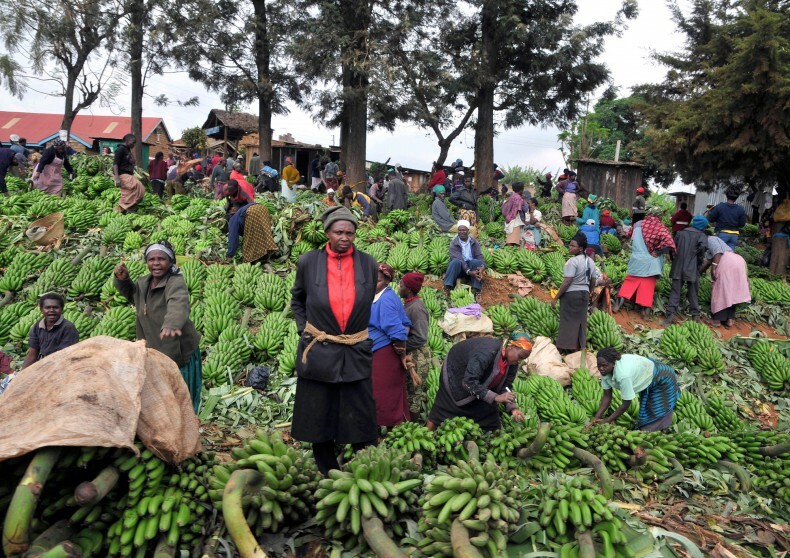 The project has arranged an off-taker for the farmers when massive production is upscaled next season and many farmers who spoke with the reporter in their farms are already gearing towards greater cultivation. In Niger State, the project has helped Alhaji Ahmed Ala to refocus his 50 hectares of sorghum farm with new and improved four varieties and connection to off-takers in Kano State, something that, he said, has expanded his financial coast. He said while conducting this reporter round his farm that he was expecting double the harvest this year because of the new varieties and extension services he got from ATASP-1. Alhaji Abubakar Isah is the extension agent under ATASP-1 who monitors this farmer. He told this reporter how the programme nurtured the farm. “In fact, this particular farmer, there was a day I discussed with him to change from his local varieties to other varieties. Last year in one of our demo plots, out of our four varieties, he decided to choose one. “Before the rainy season we supervised the land and told him how to do the ploughing, planting, spacing and how to get the tractor. Two months ago he was at a stakeholders meeting with the off-takers from Kano, when he came back, in fact, he said he didn’t even know that ATASP-1 is up to that level, adding that he now has confidence to do more next year,” he said. John Utah is the Agribusiness Development Officer, Bida-Badeggi ATASPH-1. He told Daily Trust in Wushishi, Niger State that they discovered there is a problem in the seed system in Nigeria, and the way to address that, was to see if they could get seeds themselves; and not only providing seeds to the farmers but also to have a kind of sustainable seeds system. “We cannot just be going to the seed companies everyday asking them for seed. There is a way we want to put up a structure where farmers can be trained in seed production, because the way we produce seed is different from grain or any other thing, so we are trying to see how we could bridge the gap,” he stressed. Atasph-1 is doing what is called youth agribusiness training; there are youths that produce seeds for rice, for sorghum in Niger State, he said. Alhaji Yahaya Mohammed, 49, and father of five from Wushishi Local Government Area of Niger State cultivates cassava, maize, sorghum and millet but does more of cassava – an area in which he benefits from ATASP-1 intervention. He told Daily Trust that with the new technology he was introduced to in the programme, the cassava yield appeared to be doing extremely better, adding that he is expecting over N1 million from the hectare he cultivated under the progamme. Apart from farm initiatives, rural infrastructure like roads, markets, water and clinics were built across all the benefiting local governments in the participating states – some of the projects, especially those in Orumba North in Anambra State, are 90% completed. For many of these farmers, the project is not only building their capacity, but also strengthened their agribusinesses through the outreach entrepreneurship and product development programme.